It’s been a very long time since I had nails so long that you can see them over my finger tips, that instead of kisses type zzzzzz’s on WhatsApp and that regularly get caught in my hair. The reason for this is the end of the netball season. 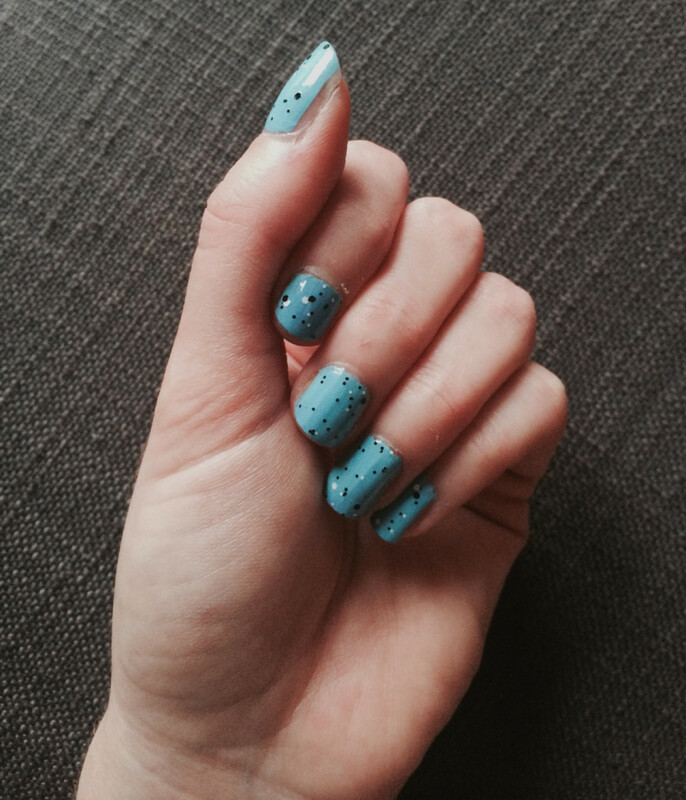 To celebrate my incredible nail growth I’ve painted them bright blue and covered them in polka dots. It only feels right. Varnish used is Maybelline Color Show in Cool Blue and blue Polka Dots. Ta Da. An easy but totally neat look with the sweep of three coats.